The Stewart Mining and Development Co. Ltd acquired the interests of the Stewart brothers, Maranville and Wallace and others in Sunbeam, Ben Hur, George E. and other adjoining claims. 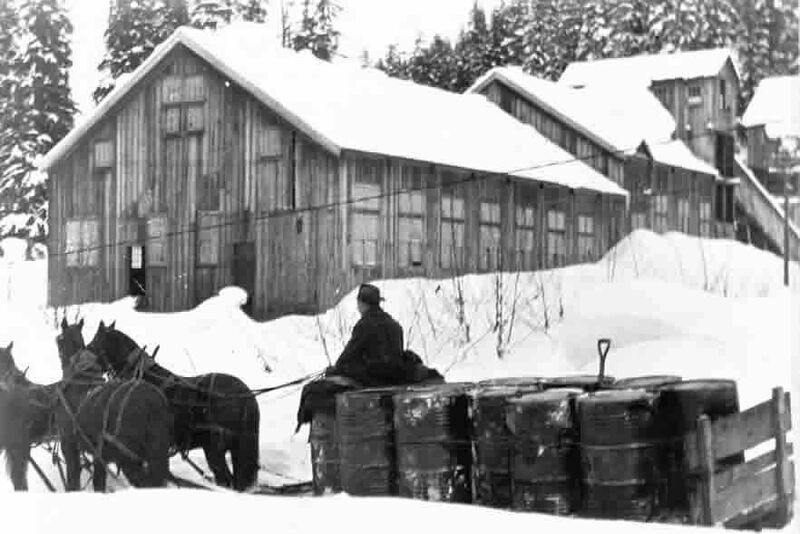 Development work was carried on for a number of years on the George E. on which some 3000 feet of underground work was done, but no large commercial ore bodies were opened up and financial difficulties, compelled the closing down of the work, and the property lay idle for as number of years. In 1918 J. W. Stewart and Wm, Noble, while prospecting adjoining ground which had been staked and re-staked many times, discovered the outcropping of the Dunwell vein, which had been exposed by former owners having turned the waters of a small creek down the mountain side. The water had been turned to permit work to be done in the bed of the creek, where a small showing of galena ore outcropped, but the work done proved the ore to be of little extent and the claim was abandoned. The new ore showing, however, was a large exposure of iron and galena ore form 2 to 5 feet wide, with fair values, and additional streaks of high-grade gold and silver ore.
Work started on this showing with satisfactory results. As the vein on its dip entered the Stewart M & D ground, a consolidation of the two properties became necessary. This was effected and the Dunwell Mines Ltd. Company was formed. Active work was then begun on the mine, which was developed by four tunnels. Ore bodies were opened up, the extent and value of which deemed sufficient to warrant the erection of a small mill, the installation of an aerial tramway and extensive mine buildings. Mining and milling operations were carried on until lessening tonnage combine with lower metal prices compelled the stoppage of operations. By 1933 the fairly successful operations of leasers shipped high-grade ore from the Sunbeam and Ben Hur claims led to the resumption of work by the company, which was carried on until lately, when the property was taken over by a local syndicate on a four year lease. During the operations of the mine some forty thousand tons of ore was produced, the average value being $13 a ton, exclusive of high-grade shipping ore.